The fight to legalize medical marijuana in the U.S. took another leap forward last year with five states passing legislation allowing the use of cannabis for medicinal purposes. Twenty-eight states and the District of Columbia now have some form of medical marijuana legislation in place, representing the majority of the country for the first time in history. Despite this, marijuana is still listed as a Schedule I controlled substance by the U.S. Drug Enforcement Administration (DEA) and the use of whole or crude marijuana is not approved by the U.S. Food and Drug Administration (FDA). “I think that the fears that this country had at the beginning of these laws proved to be unfounded,” Steph Sherer, founder and executive director of Americans For Safe Access (ASA), the nation’s leading medical marijuana advocacy group, told Asbestos.com. Several small research studies found the biologically active components in marijuana, called cannabinoids, are effective in managing symptoms associated with cancer and cancer treatments such as pain, nausea and anxiety. It can also improve appetite and sleep quality. For patients living with an aggressive, debilitating cancer such as mesothelioma, marijuana could significantly improve their quality of life. There are not enough large-scale studies at this point to suggest marijuana can help control or cure cancer, according to the American Cancer Society. “While our members reflect a diverse list of medical conditions, what they have in common is that cannabis either can treat them or is treating them,” Sherer said. Medical marijuana measures were on the ballot in four states during the 2016 elections. Florida, Arkansas and North Dakota all approved legislation permitting marijuana use for medicinal purposes, while Montana voted to ease restrictions on an existing law. Arkansas: Ballot Measure Issue 6 passed with 53.2 percent of the vote. Florida: After failing in 2014, the revised Florida Right to Medical Marijuana Initiative, also known as Amendment 2, passed by an overwhelming margin (71.3 percent). North Dakota: Ballot Measure 5 passed with 63.7 percent of the vote after a similar measure failed to reach the ballot in 2012. Ohio: Gov. John Kasich signed House Bill 523 into law on June 8. The smoking of medical marijuana is not a method approved by the bill. Pennsylvania: Senate Bill 3 became effective in May and covers a wide range of conditions, including multiple sclerosis and autism. Medical marijuana is still banned in the majority of the Midwest and the South, two historically conservative regions. Florida and Arkansas became the first states in the South to approve medical cannabis. They were the only states in the region to have any form of marijuana legalization on the ballot in 2016. While Ohio and North Dakota passed medical marijuana legislation in 2016, less than half of the Midwest states have such laws. 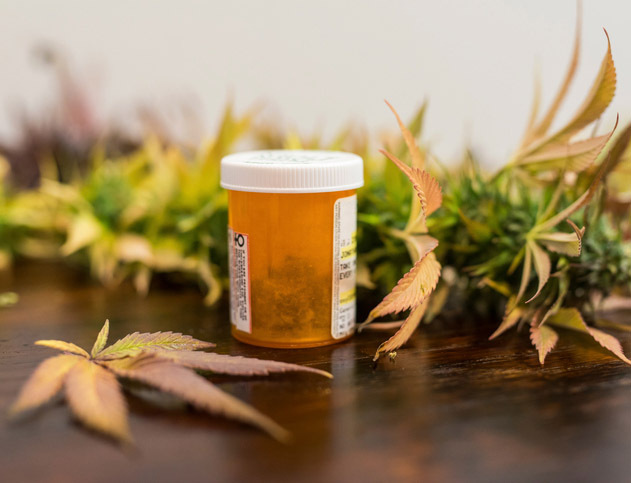 Despite the reluctance among Southern and Midwestern states, the perception of medical marijuana in the U.S. changed significantly since 1996, when California became the first state to pass medical cannabis legislation. Sherer attributes the shift in acceptance to seeing the results in action. Sherer said states with medical marijuana laws use product safety protocols to ensure cannabis products are as safe as possible before getting in the hands of patients. A 2014 report from the Journal of American Medical Association showed lower opioid overdose death rates from prescription painkillers and illicit drugs, such as heroin, in states with medical marijuana laws. In July 2016, the journal Health Affairs linked medical marijuana to reduced prescription drug use, equating to a savings of more than $165 million in insurance expenses. Intricacies of medical cannabis laws vary by state, including approved conditions, possession limits and approved methods of ingestion. Minnesota, New York, Ohio and Pennsylvania all prohibit smoking marijuana as an approved method. While smoking is arguably the most well-known way to ingest marijuana, there are many other methods to receive the possible medicinal benefits of cannabis. Difficulty breathing and chronic coughing are common symptoms of mesothelioma and lung cancer. To avoid any aggravation to the lungs, many of these patients avoid smoking and turn to other methods of ingesting cannabis such as edible marijuana or cannabis oil treatments. A 2014 report from the American Academy of Neurology shows oral cannabis extract is effective and actually delivers longer therapeutic effects. As part of its patient education program, the ASA suggests keeping a log of cannabis use and identify what is and isn’t working. Patients should always consult a doctor before taking any form of medication. The DEA still classifies marijuana as a Schedule 1 drug, placing it among heroin and LSD. Americans for Safe Access and other advocacy groups continue to challenge the agency to reclassify marijuana with accepted medical uses. Several states accept medical marijuana identification cards from other states, but there are currently no legal alternatives for patients living in states without medical cannabis laws. Sherer said many ASA members choose to uproot their families and move – sometimes across the country – to states where marijuana treatments are legal. Others take a different route. “Many patients are breaking the laws in the states they live in where medical cannabis isn’t legal,” Sherer said. Legislation in some states, including many in the South and Midwest, allow limited use of Cannabidiol-rich marijuana oil. Cannabidiol (CBD) is one of the many chemicals in marijuana and contains low amounts of THC – the primary ingredient that alters senses. Research shows CBD helps treat a multitude of issues including neurological conditions such as epilepsy. In 2007, researchers at California Pacific Medical Center reported CBD may help prevent cancer from spreading by turning off a gene called Id-1. Despite its mind-altering effects, studies show THC has a number of medical benefits that may be advantageous to patients with terminal cancer. ProCon.org. (2016, December 28). 28 Legal Medical Marijuana States and DC. Medical News Today. (2016, July 8). Medical marijuana linked to reduced prescription drug use. Americans for Safe Access. (2016, December 8) Medical Marijuana Policy Roadmap Released by Americans for Safe Access. Journal of American Medical Association. (2014, March 2). Medical Cannabis Laws and Opioid Analgesic Overdose Mortality in the United States, 1999-2010. Americans Cancer Society. (2015, March 4). Marijuana and Cancer.